Self-esteem is the key to successful weight loss and confidence in yourself will keep you trying until you finally succeed. If you believe you will be successful in weight loss, you will be successful in weight loss endeavor. 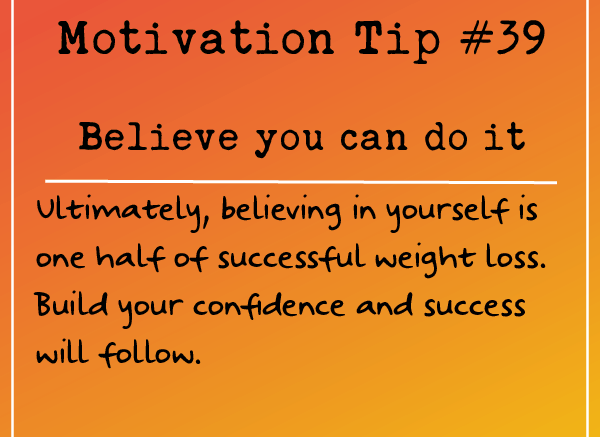 Believing in yourself is one half of successful weight loss. If you do not believe in yourself, you will ultimately fail. Be the first to comment on "Motivation Tip: Believe you can do it"